It's big enough to act like a full-length mirror. Here at Engadget, we've covered our fair share of flexible and transparent displays. Small ones, slightly larger ones. But never one that measured 77 inches corner to corner. That particular milestone has now been broken by LG, with a new OLED panel that boasts an Ultra HD resolution of 3840x2160. It should be plenty sharp then, but also portable, given you can scrunch it up to a radius of 80mm without compromising any of its functionality. Neat. With a transparency level of 40 percent, it could also be used to replace windows and screens in a vehicle, storefront or home. That's the idea, anyway. As The Korea Herald reports, LG thinks the display has a future in digital signage, desks and in-car infotainment systems. 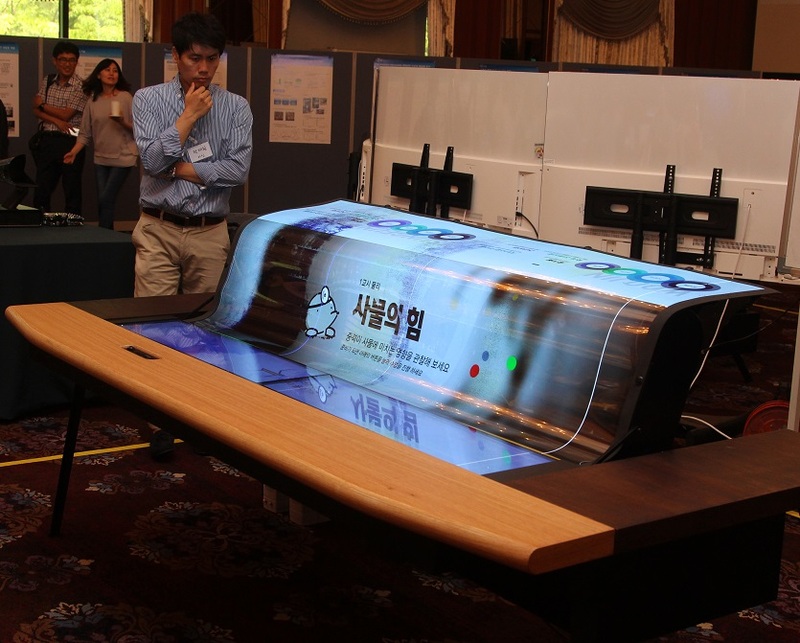 Flexible screens could also be used in augmented reality applications and public spaces, such as aquariums and museums. For now, however, this enormous display is strictly a research project. Bendy panels have been used in smartphones and wearables before, but larger applications are still fairly uncommon. Price is likely the biggest issue — LG made this display, for instance, after beating Samsung to a government contract in 2012.